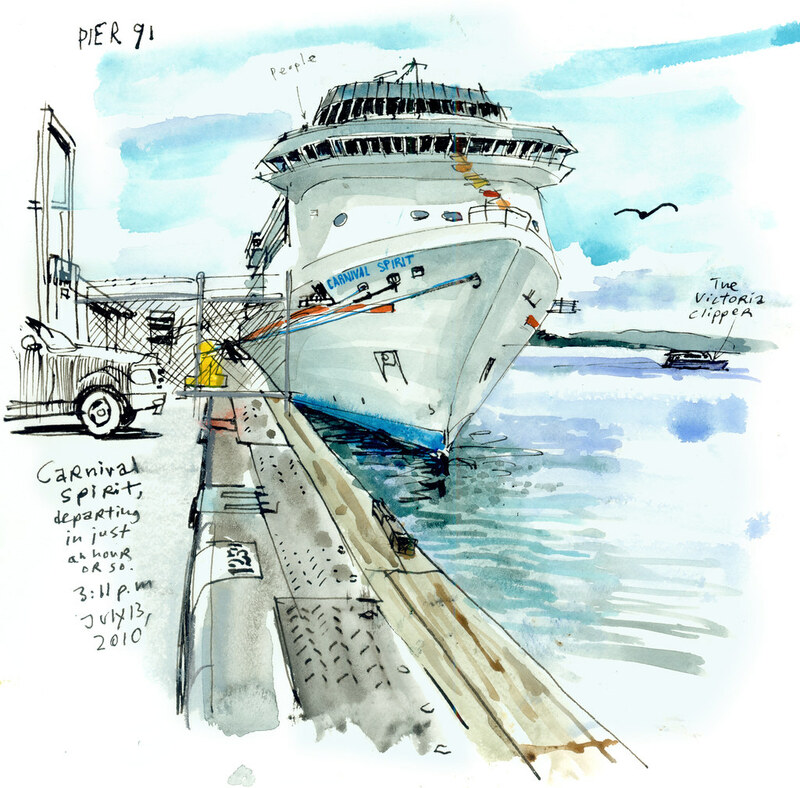 Tuesday afternoon I had the opportunity to sketch this view of the Carnival Spirit before it was scheduled to sail off from Smith Cove Terminal, the home port for Alaska-bound cruises since April of 2009. I like to draw buildings, so it’s no surprise that I also enjoyed sketching a ship of this caliber. It’s basically a skyscraper on its side, with room for nearly 2,700 passengers and 1,000 crew members. I wonder what the actual cruise experience must be like and what I would sketch on a week-long tour to Alaska. I read that the 963-foot long floating resort has plenty of swimming pools, a casino and even a library and an art gallery, but I think I’d be itching to arrive at the next port to sketch some real buildings.